Integrate our fully-automated payment processing system, and let it make money for you! Collect accommodation charges, security deposits, and other reservation-related fees easily, reliably, and automatically. Set charges to accumulate under a guest’s reservation, and securely debit or refund at any time based on your company’s policy. Our comprehensive, fully automated payment processing system supports both accommodation fare charges and security deposits. 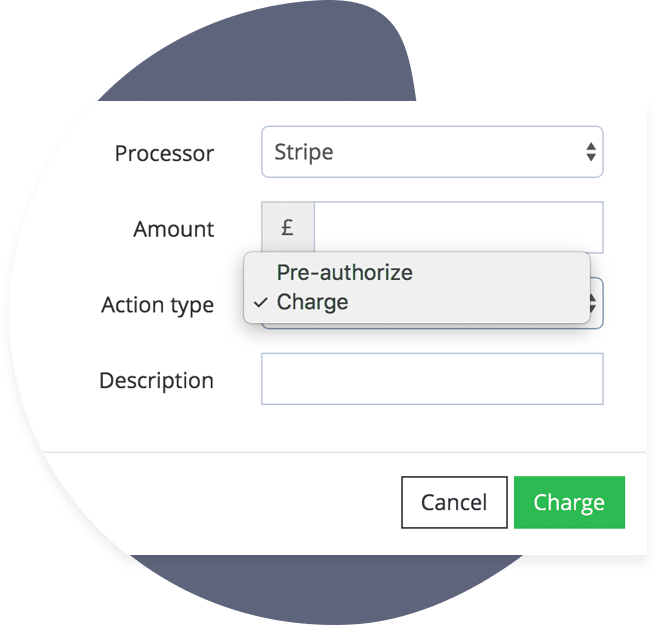 You can choose whether to charge, pre-authorize or even issue a refund. We support charges at every stage of a reservation – at confirmation, days before or after check-in or check-out, when a reservation is modified, or even upon cancellation. Want even more control? 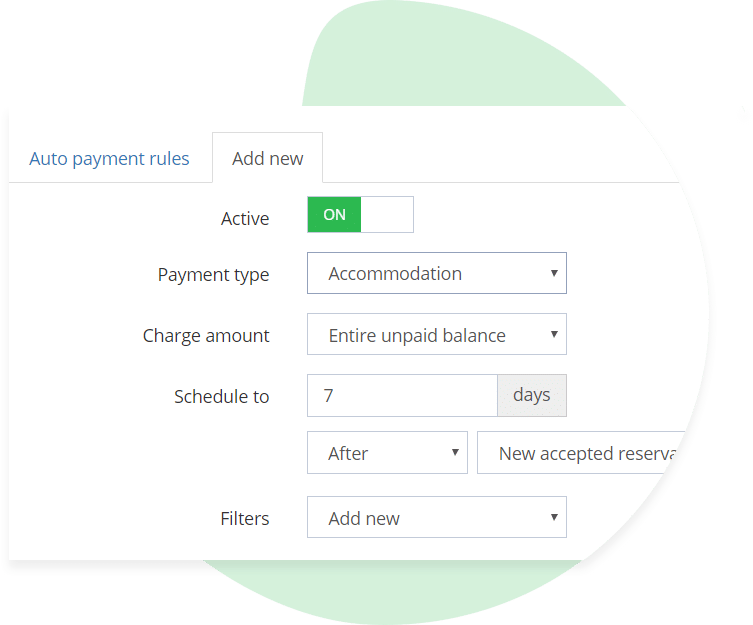 With our payment Automation, you can apply filters to different payment rules for different booking sources, capture partial payments at different times, and even set parameters for when a payment fails. Stay in control of your payments by setting email notifications for successful payments, declined payments, or both. Send automated message to your guests in their native language on the booking channel for successful payments, payment failures, and refunds. Add a memo line for their credit card statements, amounts, and any other transaction related data. Have full control over all scheduled Automations, including payments, tasks, and reservation automations. You can even disable a scheduled Automation at the reservation level. 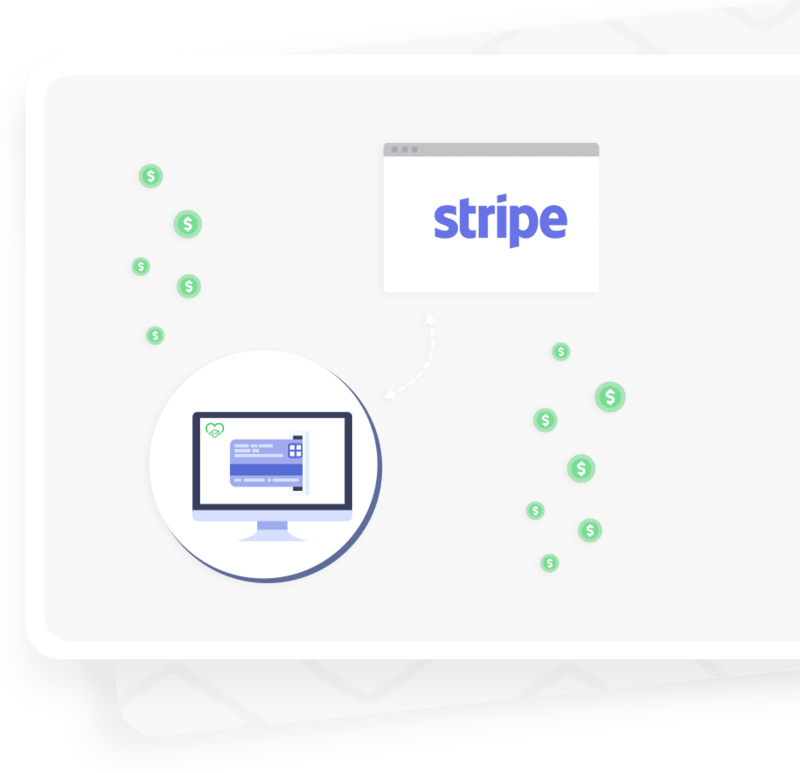 We support Stripe. More coming soon! Track all payments and their status by reservation on a single dashboard. Want to make security deposits easy? Capture a pre-authorization, or collect a payment with an automated refund at a later date. If you find any damage, you can capture payments immediately from within our system.